The Justice League movie released in November 2017 was an entertaining and fun origins story that retains its DC character while sneaking in light moments without being too distracting. People who grew up with the cartoon versions of the characters would appreciate it more than the twenty-somethings of today. Growing up in the late 80s had its advantages. It was a simpler time, with a lot fewer hang-ups than kids that grew up in the 1990s and 2000s. We played outside, we read actual books, we knew how to use library card catalogues, and we held face-to-face conversations with other people. More importantly, there was no Internet to document our unfortunate hairstyles and clothing choices! Kids in the 80s also watched television shows that are now some of the biggest movie franchises, especially the cartoons. These included Teenage Mutant Ninja Turtles, GI Joe, Transformers, Batman, Spider, Superman, Wonder Woman, and of course, Super Friends A.K.A. Justice League. Back then, we enjoyed the weekly installments of each one and it didn’t bother us too much if they had plot holes, poorly-developed characters, or, in the case of comic book characters, did not follow the comic book universe to the smallest detail. We were kids, after all. While I inwardly cringe whenever I revisit some of these episodes today, at the time they were the bee’s knees. Fast forward to 2017, things are very different. Any Internet user now has access to often-obscure details about each movie they watch on demand, including nerd-driven channels such as Watch Culture and Screen Rant that satisfy the desire of snippy Millenials to find fault in any movie that dares to take on iconic characters for feature films, especially those from comic books. They dissect a film frame by frame, pouncing on any inconsistencies or mistakes they find, and making a whole hullaballoo about them. They are not content to be entertained; they demand faithful story arcs, ironclad characterizations, and polished perfection. I find such an insistent demand for drama at every turn exhausting, and not a little annoying. Remember that we are talking about comic book characters created based on the circumstances of the times. The original Superman, for example, is a rather one-dimensional straight-up heroic character that gave 10-year-old boys fresh from the Great Depression some way to escape a dreary life. The character and story arc of Superman has since undergone several changes to keep up with the times, even recreations in alternate universes where he is almost unrecognizable to kids that knew him in the 80s. The question is, in terms of characterization and story arc, which Superman version is the best? As for the Justice League movie, I was personally not as interested in seeing it as the 20-somethings. I had been through several Superman and Batman movies in the 40-odd years since the cartoons, and I expected the same CGI-heavy scenes that have become run-of-the-mill. I was also a little put-off by the less-than-stellar user reviews by Rotten Tomatoes and IMDb user reviews. However, I did eventually watch it, mostly because Batman versus Superman had confused me, and I enjoyed Wonder Woman. I was admittedly outraged when they killed off Steve Trevor in her origins movie, but I guess it was a good move. It was certainly better than showing him as a decrepit old man beside a youthful-as-ever immortal Diana Prince by the time the Justice League rolled around. At least he died a hero. At any rate, I was curious to see how they would tie in everything. I was pleasantly surprised that they pulled it off almost perfectly. The plot was a standard superhero one, and easily predictable, but what got my attention was the treatment. Back in the day, the Justice League was an earnest bunch, not given to cracking jokes and funny one-liners. The dialogue was lighter and the story development quicker, compared to how DC was wont to be in the past. It was a refreshing and welcome change that I believe is the harbinger of even better DC-based movies in the future. In retrospect, I found it a bit funny how disappointed some of the reviewers found it. One reviewer even said it ruined his life, or something to that effect. Now, that is being invested to an unhealthy degree. What were they expecting from a superhero movie? The meaning of life? Really? The problem with many young viewers today is they take everything so seriously. Everything has to make a social statement, and that done righteously. 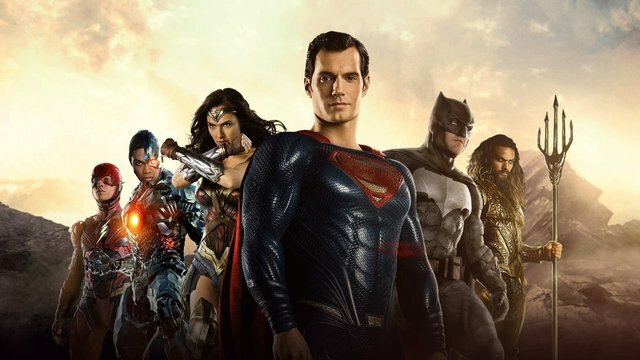 The Justice League is essentially a movie for kids, so it could not adopt the more adult attitude of the Marvel movies because they had to keep it family-friendly. People who expected it to be morally confused like the Avengers are bound to find it lacking. You must remember that cartoons were entertainment, and the comic book superheroes were no exception. Because they had such an influence on the kids, Superman, Batman, and Wonder Woman had to be straight-up heroes that conformed to the moral attitudes of the day. The intended audience had no concept of shades of gray when it came to right and wrong, so the characters had to be either black or white. The heroes were good, and the villains were bad. Kids today are not much different. 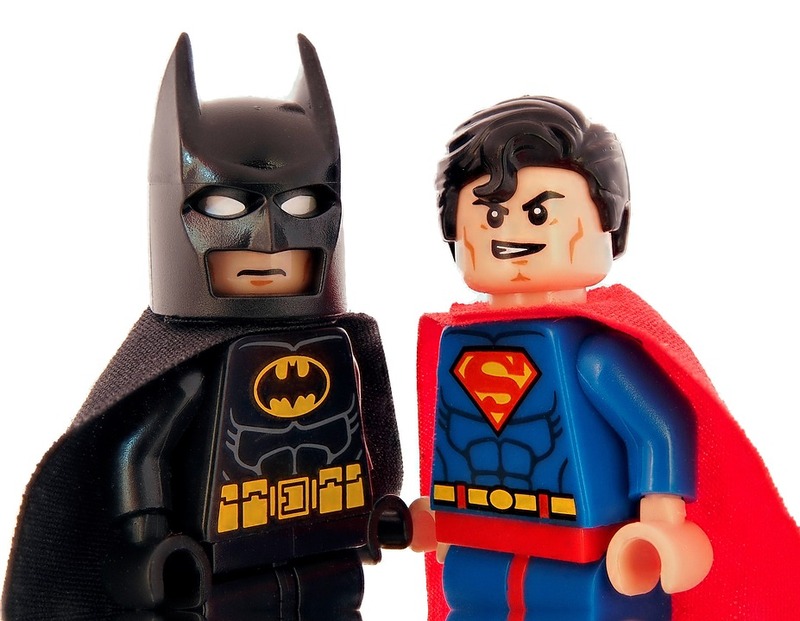 They may think they are more sophisticated, but anti-heroes such as the Dark Knight and Ironman with their disturbed pasts and conditional heroism confuse them just as much as they would have confused kids in the 80s, or even the 50s. Sure, it made for a more interesting character, but it was not the DC way. Bruce Wayne: I can barely do it now. Diana Prince: Victor, you can find the boxes. You share their energy. I know it’s frightening. But if you go under, I promise, we will pull you back out. Victor Stone: Just keep the little merman away from me while I work. Barry Allen: (holds up the Batarang) Can I keep this? Superman, after some initial grumpiness when first resurrected, went back to his familiar geeky and straight arrow persona once he reunites with Lois Lane. He decided to help the Justice League defeat Steppenwolf despite his anger at Batman after Lois Lane told him so. Lois Lane: I was hoping it would take you longer to recover. Lois Lane: Because now I have to send you away. Lois Lane: He needs you. Fate of the world. I think that’s the deal. He was pretty tense. Clark Kent: Well, I guess I do owe him one. Lois Lane: But no dying. Clark Kent: Any blow back? Victor Stone: Big time. But I think we can take it. Clark Kent: Good, because I really like being alive. Victor Stone: So do I.
Victor Stone: (chuckling) Man, my toes hurt! I don’t even understand the physics of how my toes hurt. To do it justice, the Justice League movie was as close to the original as it could afford without causing ribaldry among the viewers. As an adult, I found it refreshing and just a bit tongue-in-cheek. It was entertaining because it heeded the lessons learned from the success of the Marvel movies by infusing some humor without overdoing it. However, the film was still earnest in tone, as befitting its DC roots, and I appreciated that. It could have been better, I guess, but it had some problems plaguing from the outset. Aside from playing catch-up with a glut of Marvel –based movies with big budgets that had been more or less well, received, at least three members of the Justice League had rich and convoluted cinematic histories that lay like spaghetti on a plate. The writers had a glut of characterizations, plots and story arcs from which to choose, and it was a matter of picking the ones that would best tie-in previous movies and fit in a coming-together film. The change in directors in mid-production also didn’t help make for smooth sailing. I would say that the Justice League did very well all things considered. I would not go as far as saying it was the best superhero movie I have ever watched, but I enjoyed watching it. In my opinion, that is the primary goal of any feature film, no matter the genre. It was a fun and entertaining movie I had no difficulty watching from beginning to end, and look forward to any sequels it may produce. There’s always room for one more. TLDR : Grumpy Old man goes to the movies without expectations and surprisingly he enjoyed watching it. What do you think? You've come all the way down here to finish reading this. How did you find the Justice League Movie? PS: It's my first time writing in a while, all feedbacks are accepted. About my writing style and hopefully I'll have a few followers that will expect a better article next time. Great write up! Boy's thing! Haha! I enjoyed reading the your review. Though I was on the lookout to find any SPOILERS, I am glad I have not noticed anything. It was nice you considered that the movie was primarily done for kids, a family movie, and being an 80's kid myself, I thought it was something to look forward watching for. Good review, I really like your analogy about the difference of DC v Marvel having more of a Black/White v Grey in character construct. I have noticed this between Avenger's and X-Men also, not as pronounced but it show's the difference's between time's and generation's also. You put a finger on what I couldn't find that let me down with the movie. It was made for a younger age group, I hadn't noticed this about Justice League but it was the same thing that put me off so many of the older comic movie's before Ironman. On that note go back and watch he first Avenger's and see how far the actor's skill's have come. Looks like we're on the same age bracket. Glad to see a kindred soul here in STEEMIT. Have a nice day! Much awaited movie. Always love the avenger movies. Dude. This isnt even the avenger movie. You write well and clear!